While everyone is out and about during the long summer days and nights, make sure your smartphone is up and running with you. 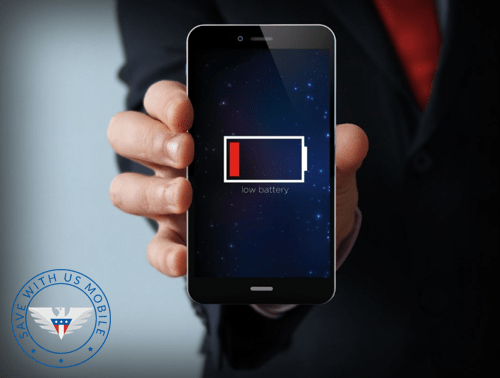 No matter what cell phone service you’re using, we all know how frustrating it can be when your phone runs out of battery so we’ve compiled a list of the 10 best hacks to keep your battery powering for longer. Your screen is the primary battery sucker on your phone and the brighter the screen, the faster your battery will drain. Most smartphones include an auto-brightness feature that automatically adjusts brightness. Another big battery sucker is location services running in the background. You can turn off certain apps’ access to location services to limit how much power they use and save on battery life. In some cases, software updates can make your phone more power efficient. Remember to turn off bluetooth when you’re not in the car or playing music wirelessly. By doing this, you can add an hour or more to your phone’s battery life. Constantly searching for a wifi connection consumes battery power. Make sure your wifi settings are turned off when you’re not looking to connect. Push notifications use excess battery because they prompt your display to light up with each alert. Disable unnecessary push notifications is a sure-fire way to save battery power. Similarly, you can cut down on how often the display is turned on by lowering the time till your display turns off when not in use. Believe it or not, temperate can play a part in depleting your smartphone battery life. Remember to keep your phone out of direct sunlight when you’re hanging by the pool all day. The vibration motor process take a lot more power than a ringtone, so make the quick switch and save on battery life. Certain smartphones have a low power mode that will limit some of the device’s background functions to save battery. P.S. We have some tips on saving data too!